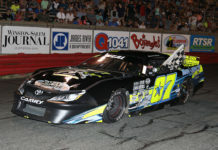 Josh Oakley’s return to his home track on Saturday night didn’t disappoint as the veteran driver made the most of the 75-lap race, qualifying second, stealing the lead late and driving off to victory in the closing laps. For more than the first half of the 75-lap contest pole winner, Daniel Moss checked out from Oakley. Moss was on fire during this night qualifying on the pole for both the Late Model Stock Car race and the Limited Late Model feature. 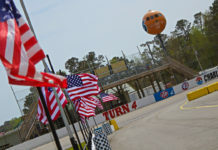 Moss would jump out to the early lead as he pulled away from Oakley, Mason Hudson, Craig Stallard and Chuck Lawson in the nine-car field. By the halfway point in the race, Moss’ lead was nearly a full straightaway over Oakley. 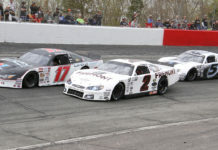 Behind them, Hudson had a rearview mirror full of Stallard, who was looking to get into the top three. As the race reached lap 50 Oakley had made up all that ground and was within a car length of Moss and closing in on him for the lead. The races only competition caution waved just three laps later on lap 53 and the field was now tightened up for the restart. On this restart with 22 laps to go Oakley set sail taking the lead from the drop of the green flag. Another caution waved on lap 60 as Lawson spun from fifth place. 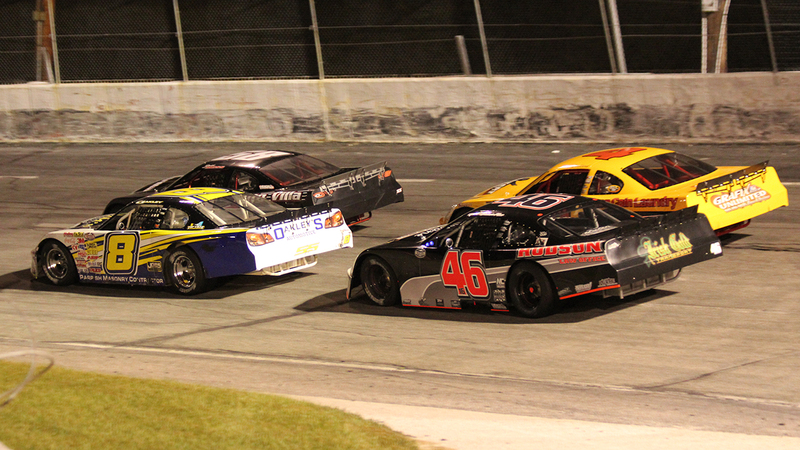 Following this restart, it was lights out for the rest of the field as Oakley pulled away and drove off to victory. 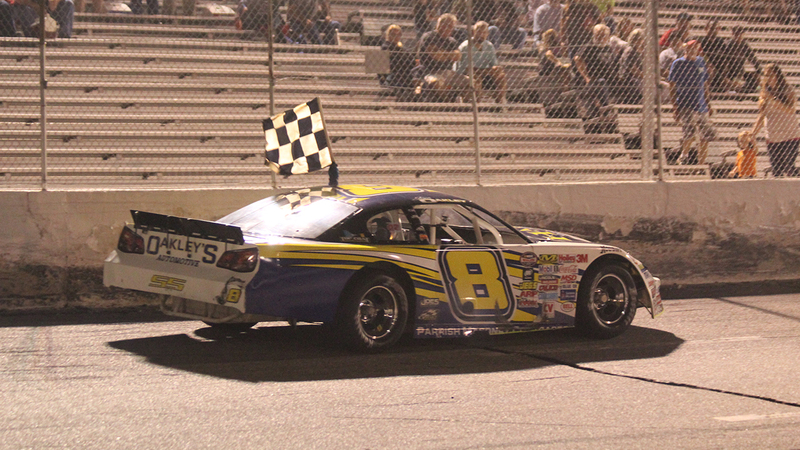 Behind him, Moss finished second with Hudson third, Camden Gullie fourth and Stallard fifth. 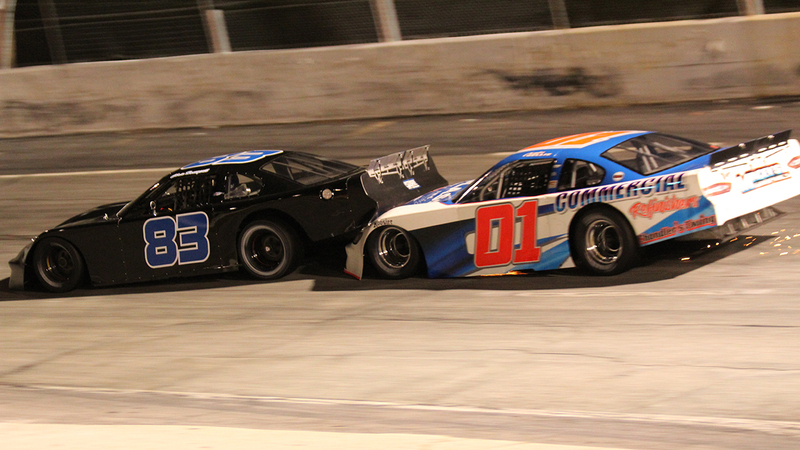 The second place finish for Moss would give him the edge in the championship over Gullie. 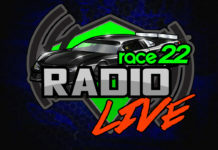 The final race for the championship will be October 27th.